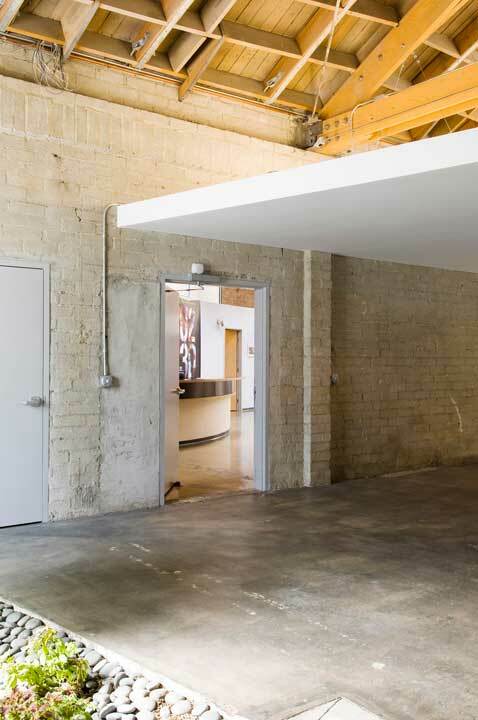 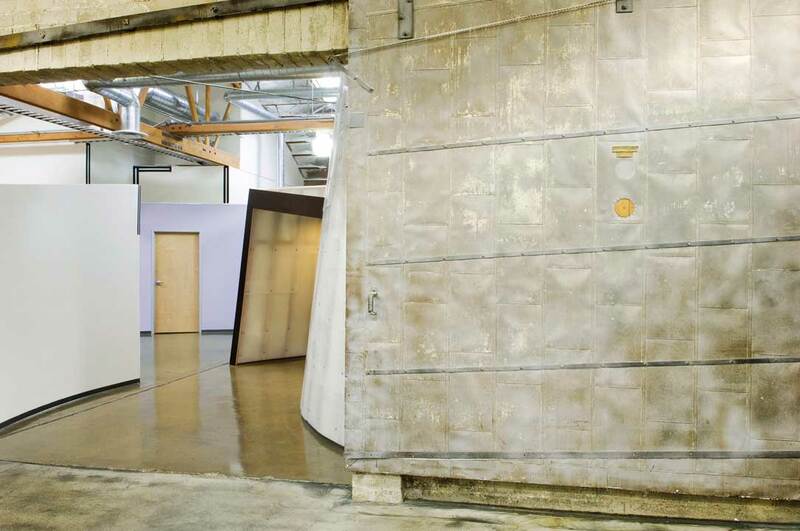 This 20,000 square foot film production facility inhabits two 1940s masonry warehouse bays, separated by a bearing wall that allowed very limited open passage between the spaces. 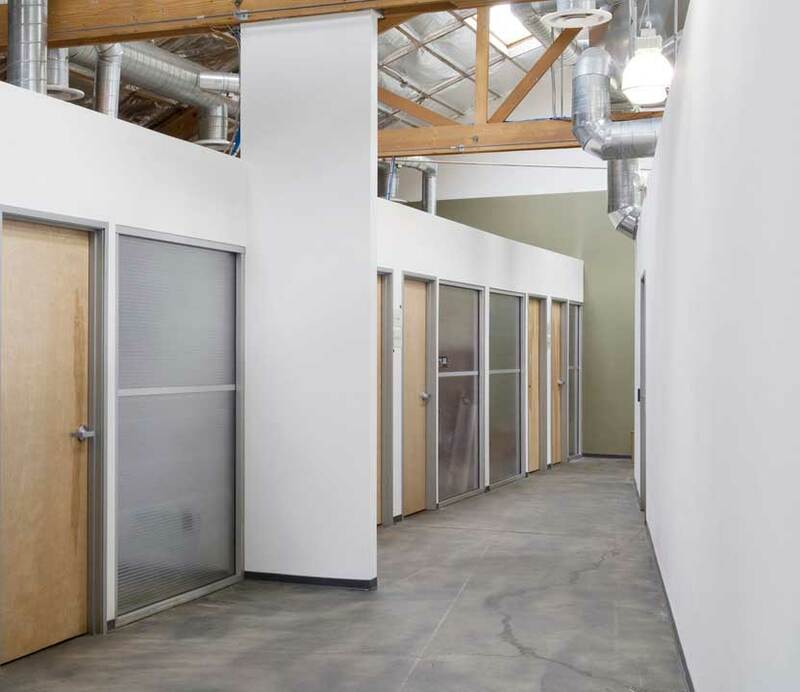 We were charged with designing a dynamic work environment with administrative and technical wings that include offices, workshops, editing rooms, equipment cage and long sight lines for camera staging. 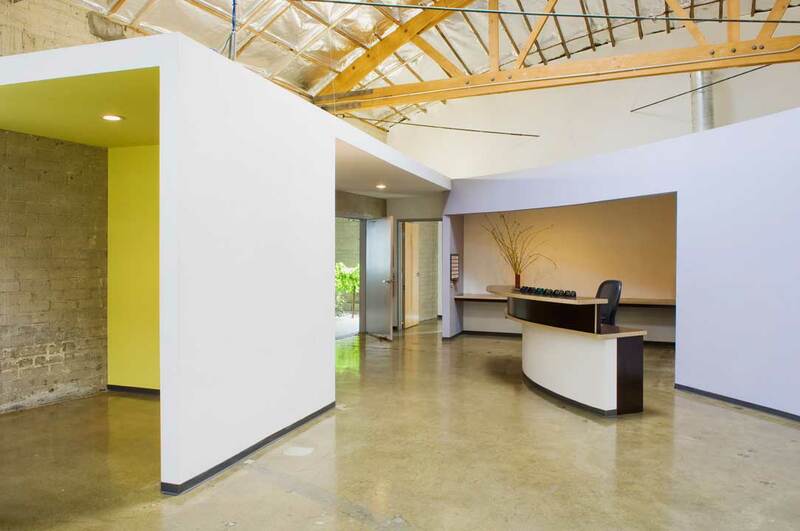 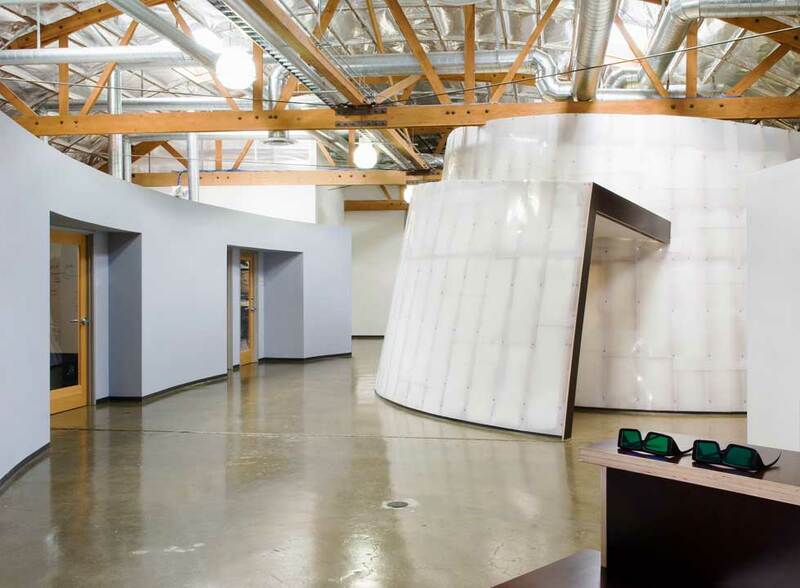 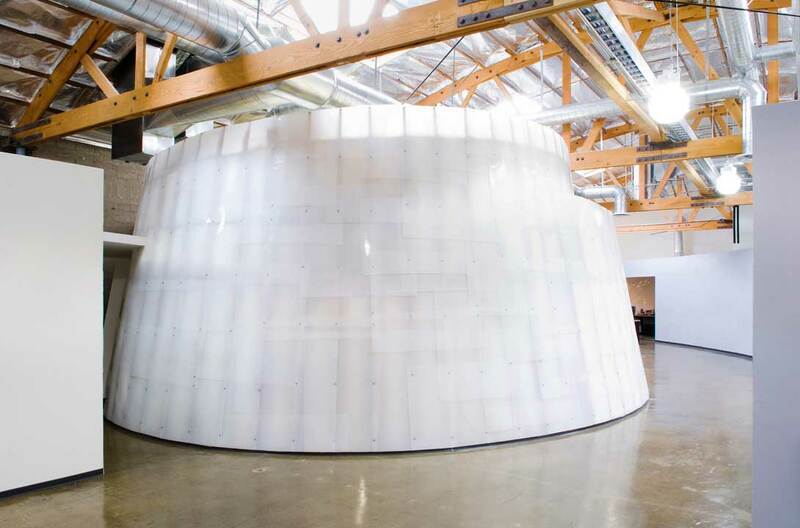 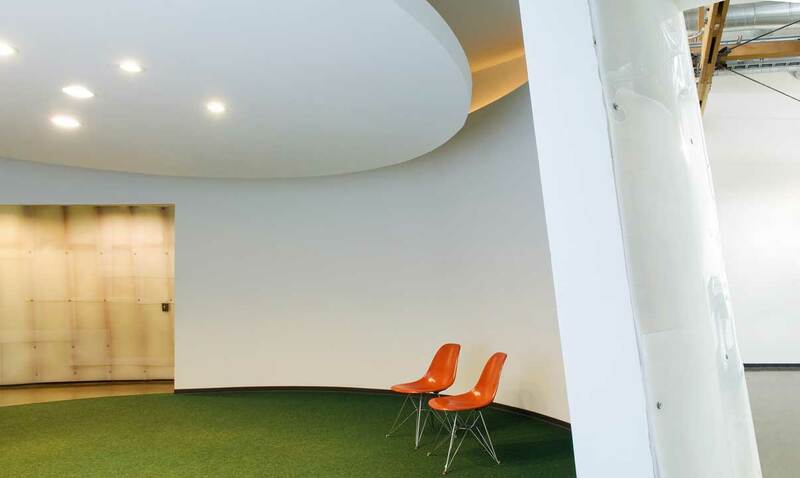 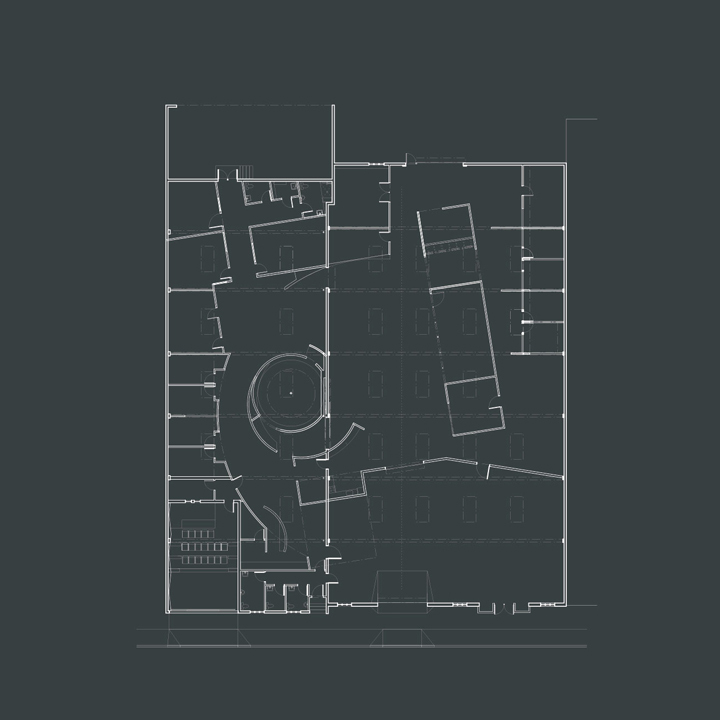 We introduced a circular conference room that becomes the vortex of the environment. 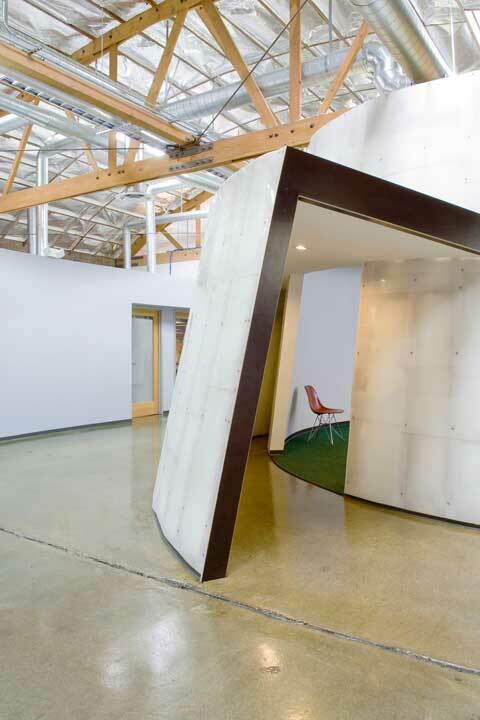 It straddles the central dividing wall and propels into motion a series of ripples whose trajectories penetrate and diminish the separation while establishing auxiliary spaces for informal gathering.